Maura has over eighteen years of experience playing for wedding ceremonies and events. Maura will accommodate any music request you may have. As a professional wedding musician in the Wilmington, NC area, Maura is familiar with the wedding venues, ceremony sites, and beach locations throughout. Music creates an intimate, warm and memorable touch that adds greatly to any special event or party! Whether you are planning an indoor or outdoor wedding ceremony, live music in a garden, on a beach or in a beautiful chapel such as Kenan Chapel, Landfall or Lebanon Chapel located in Airlie Gardens, live music will set the stage. Maura Kropke is a classically trained violinist who attended the School for Strings in New York City as well as Manhattan School of Music. She has performed at hundreds of weddings including many on the beautiful beaches of North and South Carolina, from Myrtle Beach to Emerald Isle and all beaches and venues in between. As a professional violinist, her splendid style, talent and versatility will add an air of elegance to any event in your life. "Thank you for making our wedding day so special. The music was beautiful! It made our ceremony so romantic." 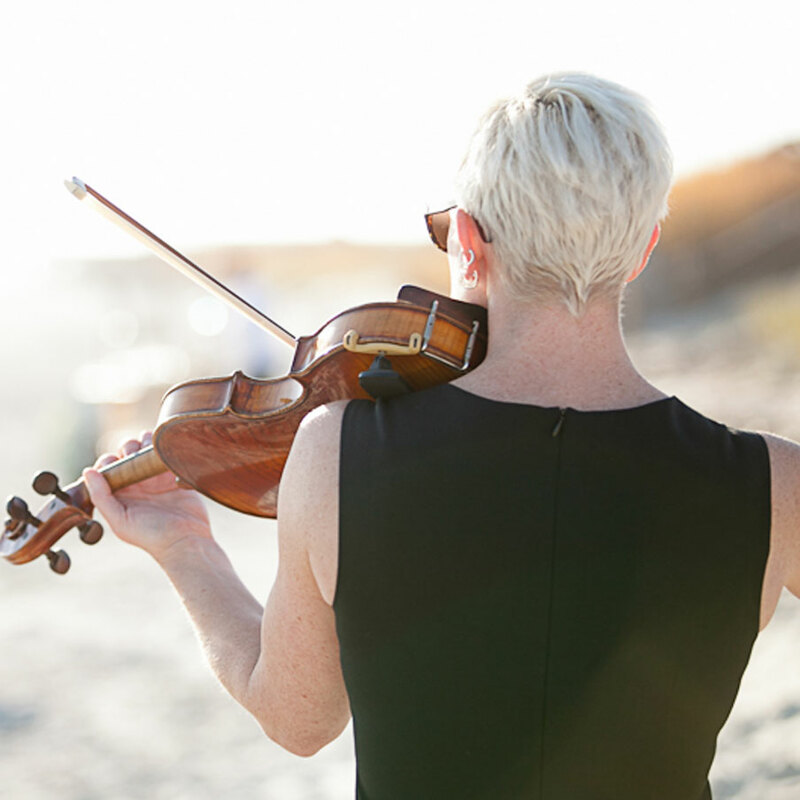 Professional violinist Maura Kropke is available for indoor and outdoor wedding ceremonies, special events and occasions, corporate functions, violin serenades and memorial services throughout Wilmington, North Carolina and the surrounding southeast area. Contact Maura today for additional information or music samples.